We're a caring community that supports its members and friends near and far through good times and bad. Whether arranging to cook and deliver food to someone recovering from surgery, holding a prayer vigil for an ill member, or providing cake for a baby's baptism, the bonds among the congregation are sure signs of God's love working through us. We are also a community who truly looks outside our walls for opportunities to serve. Through support of local programs like the Verona Children's Fund, the Rescue Squad and Fire Departments, St. Peter's Haven, St. Paul's Community Programs, North Porch Women and Infants' Centers, Christine's Kitchen, Habitat for Humanity and youth mission trips, we welcome opportunities to be the heart and hands of Christ. 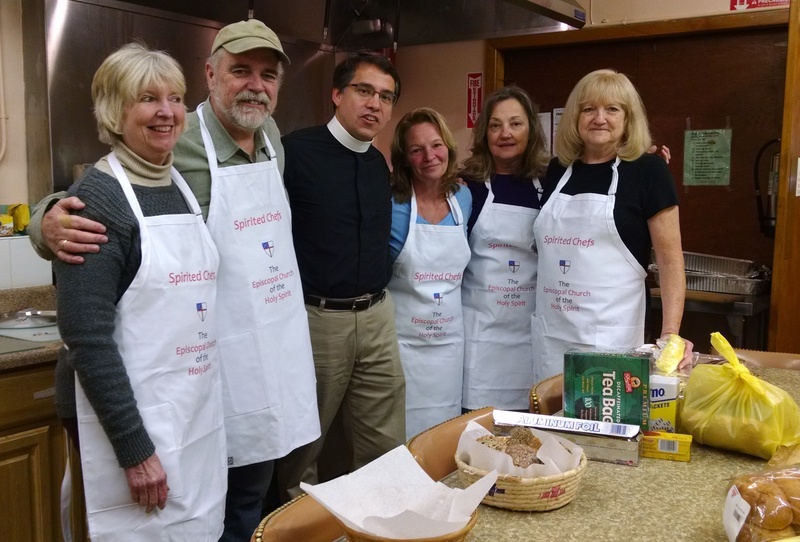 Two of our newest ministries are the Holy Spirit Verona Food Pantry, and a joint community garden with Church of the Holy Innocents, West Orange.